Data analytics helps property management companies thrive in a way that other tricks of the trade cannot. Here's how it helps. A growing number of property management companies around the world are recognizing the benefits of data analytics. Analytics is a necessary element of any digital marketing strategy. Analyzing data patterns and trends is key to ensuring a company reaches the right customers and targets people in the right way. The property industry is one of the best examples of an industry that is using data analytics to its advantage. These companies have found it has led to much more effective marketing strategies that help them reach their target demographics. A team of researchers from Malaysia addressed the role of big data in property management in a globally renowned paper from Research Gate in November. In a nutshell, analytics is the process of collecting, processing, and analyzing data. This data is then used to get a better insight into the behavior of a consumer or customer, helping the company make empirically-based decisions that will benefit its bottom line. The end goal of any company is to generate leads and conversions. 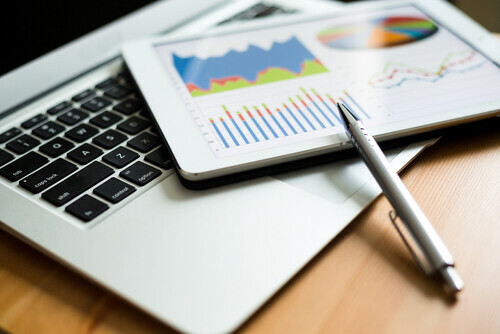 Property management companies use analytics for many reasons, including making queries and eventually purchasing property. To make this happen, leading property investment companies are utilizing SEO methods to attract their target audience and lead more people to their website. Keyword optimization is one of thec and is helped massively by data analytics. Software like Google Analytics helps companies identify the behavior of the people using their website, providing information on which channel has successfully led users to their site. If the channel that’s generated the largest amount of traffic is ‘organic’, then marketers can see that their SEO methods are paying off and get a better understanding of how to build upon a campaign. For instance, if data shows that a specific page on the website is receiving high levels of traffic, the company then knows to optimize this page with relevant and high-volume search terms. This way, the page will hopefully go up in the Google rankings and target more people that are searching for this keyword or term. Data analytics can reveal a lot about the type of people viewing and using your website. Property companies benefit from this, because it helps them to work who their target demographic is, with details on their gender, age, location and even their interests. Research from RW Invest, a UK based property investment company, revealed some interesting data about their website users. Investing has always been considered predominantly male orientated, but this company’s research indicated a 140 per cent growth in searches for UK property coming from women. This kind of data gives companies an eye-opening insight into their customers, allowing them to tailor their marketing efforts towards an audience that’s likely to convert to a sale. Christopher Lee, president and CEO of CEL & Associates, penned an article in National Real Estate Investor Magazine about the role of big data in the industry. His emphasis focused on the impact on investors, but most of his arguments can be equally applied to property management companies. This type of data analytics provides necessary information for targeted ads. In order to run successful Facebook ads, property companies need to analyze their target demographic and use this information to create targeted advertisements that will resonate with their audience. If a property company’s target audience is aged between 30 – 50, for instance, then targeting their ads towards a 21-year-old Facebook user isn’t likely to result in a conversion. Demographics data not only tells property companies who should see the advertisements in their Facebook feed but also helps them tailor the ad itself using the right type of language, format and imagery. It’s clear that without data analytics, a range of companies from various industries would likely struggle to see the conversions they need to grow as a business. In doing so, however, they open themselves up to a whole host of possibilities to generate more revenue, attract new customers and clients and increase customer engagement on their website. Do you have any other thoughts on how property companies can utilize data analytics to their advantage? Comment below with your thoughts.